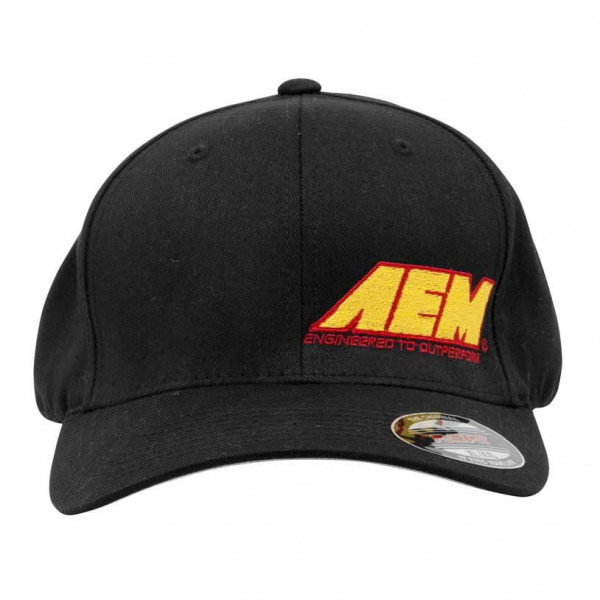 This high quality AEM hat is pre-fitted. The undervisor is silver colored. It is made with 98% cotton and 2% spandex material. The AEM Small/medium sized hat will fit a 6 3/4 to 7 1/4 hat size and the large/xl sized hat will fit a 7 1/8 to 7 5/8 hat size.